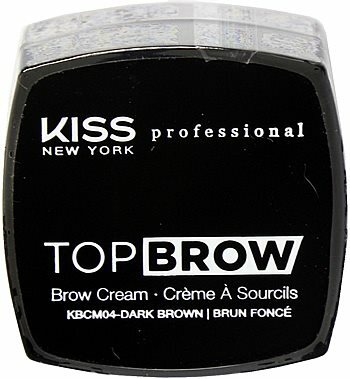 Kiss NY Pro Top Brow Cream - DARK BROWN (KBCM04), comparable to the Eylure Brow Pomade and Ardell Brow Pomade, but in a wider selection of shades: Blonde, Taupe, Soft Brown, Dark Brown, Chocolate, and Ebony. This brow cream is the Editor's Pick. 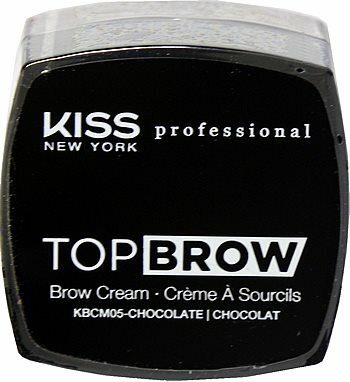 This DARK BROWN shade of Kiss NY Top Brow Cream is a true dark brown in color and works well for brown hair, dark brown hair, and black hair seeking a slightly lighter brow shade. 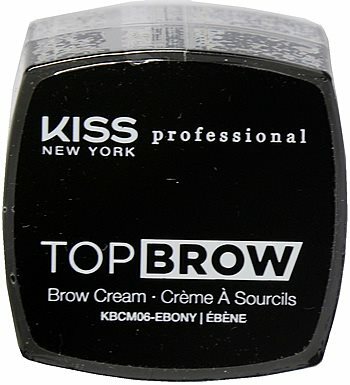 This brow cream pairs perfectly with the Kiss NY Pro Top Brow Brush KPMB01.